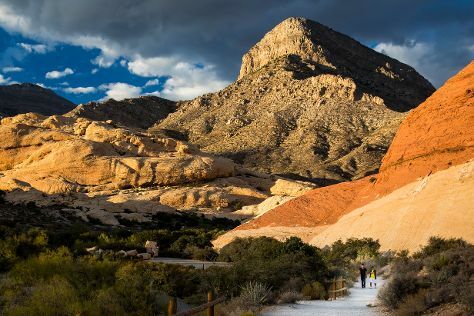 Start off your visit on the 23rd (Sat): take in breathtaking views at Red Rock Canyon National Conservation Area. Inspirock's itinerary builder makes planning a Las Vegas trip simple and quick. Columbus to Las Vegas is an approximately 6-hour flight. You can also drive; or take a bus. The time zone difference when traveling from Columbus to Las Vegas is minus 3 hours. Traveling from Columbus in March, things will get much hotter in Las Vegas: highs are around 74°F and lows about 52°F. Finish your sightseeing early on the 24th (Sun) to allow enough time to travel to Grand Canyon National Park. To find traveler tips, photos, reviews, and more tourist information, you can read our Grand Canyon National Park trip planner . Traveling by combination of car and flight from Las Vegas to Grand Canyon National Park takes 4.5 hours. Alternatively, you can drive; or take a shuttle. You'll lose 1 hour traveling from Las Vegas to Grand Canyon National Park due to the time zone difference. While traveling from Las Vegas, expect slightly colder days and colder nights in Grand Canyon National Park, ranging from highs of 57°F to lows of 23°F. You will leave for Las Vegas on the 24th (Sun). Start off your visit on the 25th (Mon): try your luck at Casino at Luxor Las Vegas, engage your brain at Bodies The Exhibition, tour the pleasant surroundings at Siegfried & Roy's Secret Garden & Dolphin Habitat, see the interesting displays at Madame Tussauds - Las Vegas, then take in nature's colorful creations at Bellagio Conservatory & Botanical Gardens, and finally see the interesting displays at The Mob Museum. To see ratings, traveler tips, and other tourist information, use the Las Vegas trip itinerary planning app . Getting from Grand Canyon National Park to Las Vegas by combination of flight and car takes about 4.5 hours. Other options: drive; or take a shuttle. The time zone difference when traveling from Grand Canyon National Park to Las Vegas is minus 1 hour. When traveling from Grand Canyon National Park in March, plan for somewhat warmer days and much warmer nights in Las Vegas: temperatures range from 74°F by day to 52°F at night. Finish up your sightseeing early on the 25th (Mon) so you can travel to San Francisco. 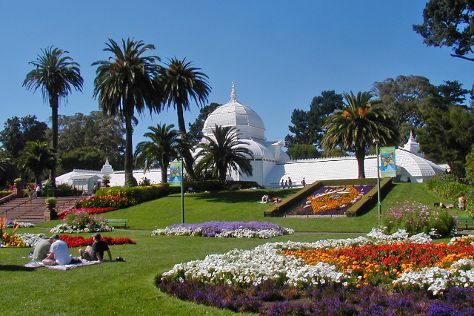 Kick off your visit on the 26th (Tue): engage your brain at California Academy of Sciences, admire the natural beauty at Japanese Tea Garden, then take in the views from Golden Gate Bridge, and finally make a trip to Lombard Street. On the next day, see the interesting displays at Cable Car Museum, get curious at Exploratorium, and then admire all the interesting features of Alcatraz Island. To see other places to visit, ratings, more things to do, and more tourist information, read San Francisco day trip app . Fly from Las Vegas to San Francisco in 4 hours. Alternatively, you can drive. While traveling from Las Vegas, expect a bit cooler days and about the same nights in San Francisco, ranging from highs of 65°F to lows of 50°F. Wrap up your sightseeing on the 28th (Thu) early enough to travel to Mariposa. Set in the foothills of the Sierra Nevada Mountains, Mariposa prides itself on its friendly small-town feel and Old West heritage. Kick off your visit on the 28th (Thu): fly down the slopes at Yosemite Ski and Snowboard Area. On your second day here, explore the wealth of natural beauty at Bridalveil Fall. For ratings, more things to do, other places to visit, and other tourist information, refer to the Mariposa travel planner . You can drive from San Francisco to Mariposa in 3 hours. Expect little chillier evenings in Mariposa when traveling from San Francisco in March, with lows around 44°F. Finish your sightseeing early on the 30th (Sat) so you can travel to San Francisco. Kick off your visit on the 30th (Sat): shop like a local with Ferry Building Marketplace, don't miss a visit to Golden Gate Park, and then take in the awesome beauty at Twin Peaks. 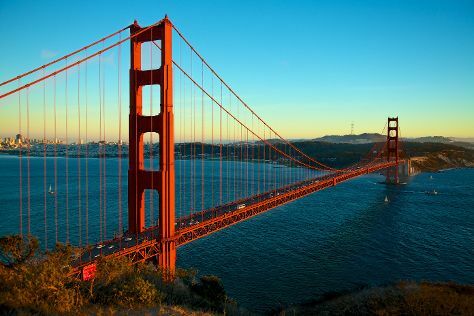 To see other places to visit, more things to do, and more tourist information, you can read our San Francisco online tour planner . Traveling by car from Mariposa to San Francisco takes 3 hours. Expect little chillier weather when traveling from Mariposa in March: highs in San Francisco hover around 65°F, while lows dip to 50°F. Wrap up your sightseeing by early afternoon on the 31st (Sun) to allow enough time to travel back home.